Christmas is just around the corner. Whether you’re organised and already have a collection of Christmas presents, or you like to leave shopping to the last minute, you need to keep those presents out of sight. 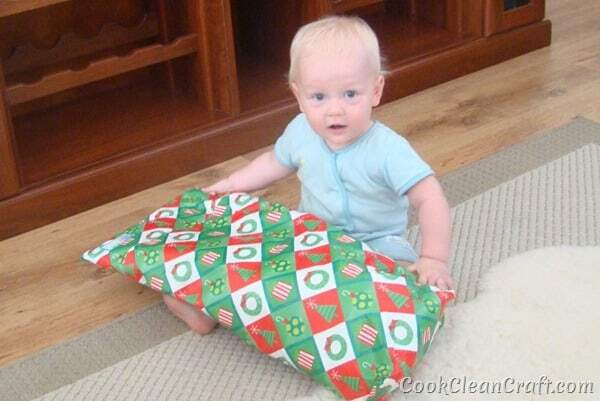 Whether it’s nosey kids or a prying partner, don’t spoil the magic of Christmas by making your gifts too easy to find. Here are 16 sneaky spots to hide Christmas gifts. Under the bed: This is a place to start for amateur hiders of Christmas gifts. Even the baby will spot the presents under the bed, so not your best bet unless secret storage in the box springs. A friend or relative’s house: ask Grandma or the next-door neighbour if you can hide the Christmas presents at their house. Let’s hope you can trust them not to keep the presents for their own kids! Christmas tree box: If you’ve already put up the Christmas tree (assuming you prefer the plastic variety), there’s plenty of space to hide gifts in there. Boot of the car: This is a great option as it gets closer to Christmas, especially if you have a second car that the kids don’t go in much. Just make sure you don’t accidently pop the boot when the kids are around. In the garage, basement or shed: Any spot that is a typical dumping ground for junk. A spare bedroom or (ahem) craft room also works. If you’re looking to up the stealth level to ninja, put the Christmas pressies in big garbage bags. Just hope your other half doesn’t go on a cleaning spree before Christmas! Top of the linen cupboard: This is another classic location. Why in the world would the kids be looking in there? Laundry: If you never make it to laundry basket zero, hide the Christmas presents in the bottom of the laundry hamper and cover with dirty clothes. My kids definitely won’t be doing a load of laundry between not and Christmas. In the kid’s bedroom: Use shelves at the top of your kids wardrobe, or hide presents in the box of toys they never play with. At the Office: If you have a secure place at your work, keep the presents there. Just don’t forget to bring them home. You don’t want to head into the office on Christmas day. Under a blanket or pile of clothes: I once hid my husband’s bulky Christmas present on the spare bed under a roughly piled doona (duvet). He went in and out that room multiple times and never thought to straighten out the messy pile. A pile of clothes to be folded works just as well. Below the bottom drawer: Pull out the bottom drawer of your chest of drawers, and make use of that hidden space underneath the bottom drawer. In a locked room or filing cabinet: This makes it obvious where the presents are, but if they can’t find they key, it doesn’t really matter! In plain sight: Wrap the presents and incorrectly label them. That present for you son could be labelled Great Aunt Bertha. Make sure you remember which present is which so you relabel them on Christmas Eve (or face rewrapping them!). In strange shaped boxes: If you know your kids are going to find the gifts no matter where you hide them, wrap the gifts in strange-shaped boxes, with bubble-wrap, packing peanuts and a heavy brick or two to make it even trickier. Layby: Lastly, keep the Christmas presents at the store. Layby all your gifts and pick them up on Christmas Eve. The only thing you have to hide is the receipt. The downside is you have to brave the car parks on the day before Christmas, but at least you’ll be in and out of the shops. 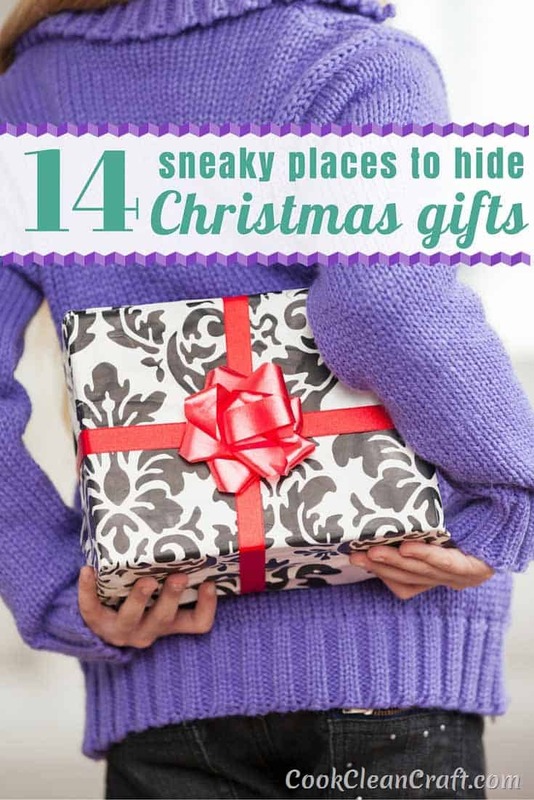 Where do you hide Christmas gifts to keep them away from nosey kids?